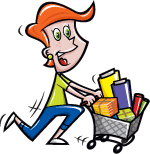 With this item you will earn 975 Points in Homespun Rewards! 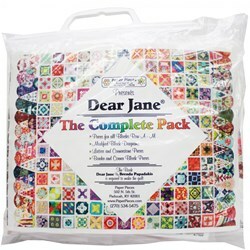 Have you ever looked at the Dear Jane quilt, and thought "I Wish I could Make That" ..? Back in 1863 during the Civil war, a woman named Jane A. Stickle decided to make a sampler quilt. One hundred sixty-nine blocks, 52 triangles, 4 corner kites and 5602 pieces later... she had a quilt that, to this day, still leaves quilters in awe - it's no wonder so many of us have shied away from this quilt! 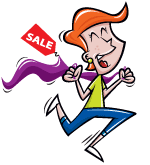 Inspired by Brenda Papadakis's book Dear Jane: The Two Hundred Twenty-Five Patterns from the 1863 Jane A. Stickle Quilt, this is a complete paper pieces pack for the entire quilt. Please Note: You WILL NEED the Dear Jane Book to complete the quilt! 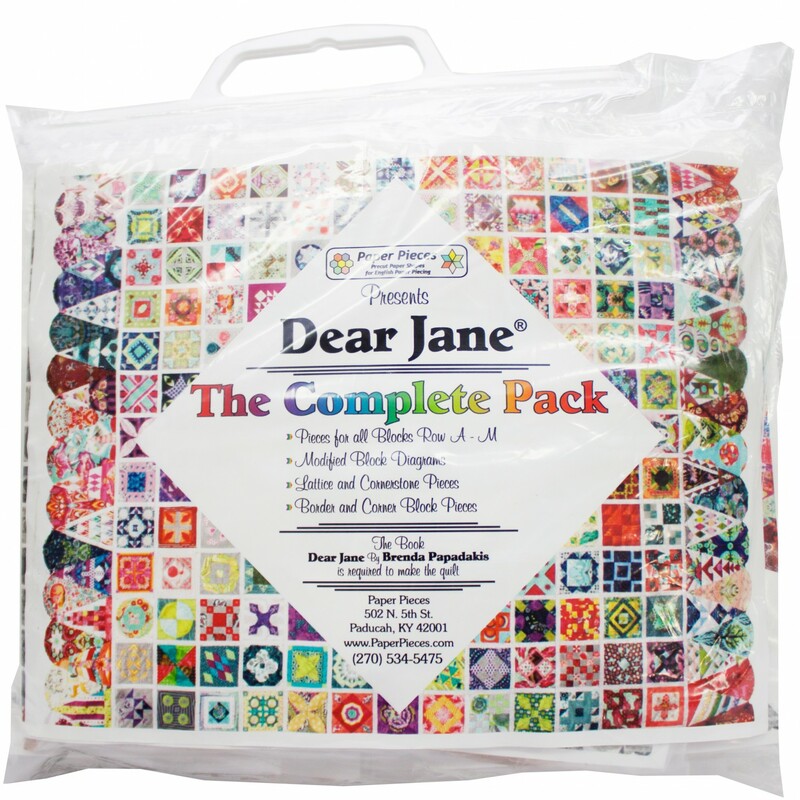 The finished Dear Jane quilt measures approximately 85 x 85 inches (216 x 216 cm), and as we mentioned above, you will also need to have the Dear Jane book.